If you are in the Milwaukee, WI area and looking for new Ford for sale or used cars for sale, make Ewald's Venus Ford your first stop. Our extensive selection and helpful sales team make it easy to find the vehicle that fits your needs. If you are in need of repairs or maintenance, our service technicians are ready to help. We have a vast selection of new and used cars for sale with everything from new Ford trucks for sale, to used cars for sale and everything in between. Here at Ewald’s Venus Ford, we want to be your one-stop shop for all of your vehicle needs. Which is why we also have an on-site Ford Finance and service center near Milwaukee, WI. When you are in need of a Ford dealer in Milwaukee with a large selection of new and used cars for sale, come to Ewald’s Venus Ford. When you are looking for new Ford for sale in the Milwaukee, WI area, make your first stop Ewald's Venus Ford. We do our best to make the car buying process easy. Here at Ewald’s, we have an extensive inventory of new Ford cars for sale including the fuel-efficient Ford Fusion for sale. This new car for sale also comes with some of the latest technology features that you will not want to miss. If you are looking for something with a little more speed come and see the Ford Mustang, with an all-new look you are sure to turn heads here in Milwaukee, WI. If it is Ford SUVs for sale that you are after come and see everything from a Ford Edge for sale to a Ford Escape and much more. New Ford SUVs for sale like the Ford Edge is the perfect combination of cargo space and fuel efficiency giving you the best of both worlds. We even have a large selection of new Ford trucks for sale at your local Ford dealership near Milwaukee. These Ford pickup trucks are ready for whatever your life throws at them and with four-wheel drive you never have to worry about getting stuck in the snow this winter. Whether you are looking for new cars for sales like the Ford Mustang or new Ford trucks for sale you can find it here at Ewald’s Venus Ford the Ford dealership near you. Ewald's Venus Ford also has many excellent used cars for sale that are worth a close look. When it comes to used cars for sale in Milwaukee, we do our best to have a vast inventory of used cars for sale so that we have something for everyone. Here at your local used cars dealership in Milwaukee, we offer many used cars for sale for under $10,000 that make the perfect first-time car. If you are looking for used trucks for sale come and see one of the many used Ford trucks we have to offer. We even have a large selection of Ford commercial trucks for sale. If you are looking for the perfect combination of seating capacity and towing strength come and see one of the many used Ford SUVs for sale in Milwaukee, WI. That includes a used Ford Explorer, this SUV with third row-seating makes carpooling to and from work, birthday parties and many other things a breeze. If you are looking for a new car for sale in Milwaukee but only have a used car budget come and see one of the many Ford certified pre-owned vehicles for sale near Milwaukee, WI. 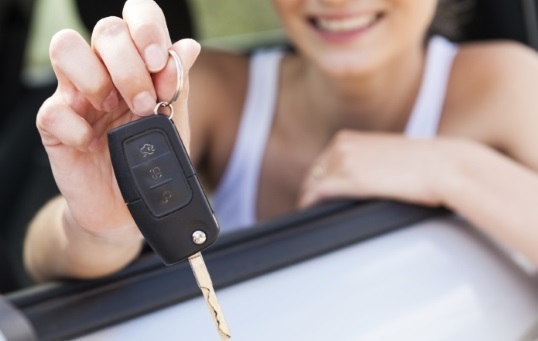 When you shop certified pre-owned, you are getting an almost new car at a used car price. Here at your local Milwaukee used car dealership we take pride in offering a wide selection of used cars trucks and SUVs for sale so that there is something for everyone. If you are still unsure about whether you want to buy or lease your next vehicle stop by the Finance Center at Ewald's Venus Ford. We are more than happy to help the Milwaukee, WI and surrounding areas figure out what works best for them here at the Ford finance center near you. Here at the Ford credit center, we are happy to sit down and walk you through each step of the process as well as answer any questions you may have. We will work with you to figure out what your best option whether that be financing or leasing will be for you and your budget. If you are not ready to fully commit to financing a new car the team at the Ford motor credit center will be happy to go over one of the many Ford lease deals available. With Ford lease offers you can drive off in a brand new car truck or SUV for a fraction of the cost of financing one. Here at the Ford auto finance center we also have several online resources, to help make your car buying experience even easier. Learn the value of your trade-in, get pre-approved and more all from the comfort of your Milwaukee, WI home. It can be hard to find a reputable service center in the Milwaukee, WI area. That is why Ewald's Venus Ford is here to help. Our experienced service technicians make it easy to take care of your vehicle. Here at your local Milwaukee service center, we can take care of everything from an oil change to a part replacement and much more. The team of technicians at the Ford service center are Ford trained and certified, meaning they know your car both inside and out. On top of that, we only use factory certified Ford parts, so that they work and fit each time perfectly. When you want car truck or SUV to be in top working condition, why use anything other than the Ford OEM parts that were made for it. Here at this Ford service center we also offer many Ford service coupons for everything from a tire rotation, to a brake pad check and much more. If you do not see the service coupons you are after check back often we are always changing them. Whether you are in need a basic repair or a total engine replacement you can find here at Ewald’s Venus Ford near Milwaukee, WI.